And there&apos;s a physical aspect to all this. You’re riding your skateboard for the cameras. You’re taking God-knows-how-many selfies for your fans on Snapchat and Instagram. It’s not an easy gig. Then, one morning you wake up and discover that your one true love, the American news media, have called it off. They’ve left you for a younger, hotter candidate — went out for a pack of cigarettes and never came home. They split with some guy from Indiana. 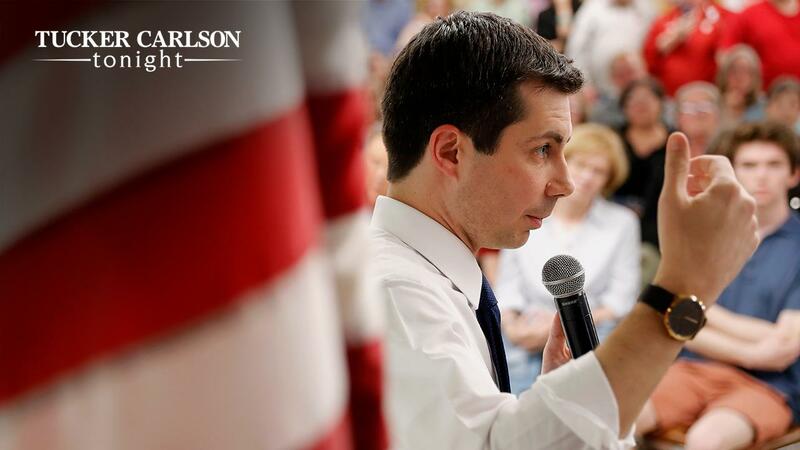 You can’t even pronounce his name, but some believe South Bend, Ind., Mayor Pete Buttigieg is "chicken soup for the soul." What’s going on here, exactly? Who is this guy? There are a lot of liberals running for president right now. Why would the 37-year-old mayor of a third-string Midwestern city — no offense, but that&apos;s what it is — stand out? Why’s he more impressive than, say, Sen. Cory Booker, or former Gov. John Hickenlooper? Or for that matter, any of the approximately 11,000 progressive Democrats apparently running for president at the moment? That’s a tough question. We checked — nobody seems to know, least of all, Buttigieg himself. His website gives you his bio and tells you how young he is. It says virtually nothing about what policies he might support. That&apos;s not an accident. Sanders recently took fire from the left-wing think tank, Center for American Progress. CAP noted the irony that Bernie became a millionaire by writing a book about how millionaires are evil. On Monday night, Sanders delivered this response during Fox News&apos; town hall. "You raise the issue I am a millionaire. Well, actually this year we had $560,000 income," he said. "That&apos;s a lot of money, and in my case, my wife&apos;s case, it came from a book that I wrote. A pretty good book, you might want to read it. It&apos;s a best-seller, sold all over the world, and we made money. So, if anyone thinks that I should apologize for writing a best-selling book, I&apos;m sorry, I&apos;m not going to do it." Or more likely, he doesn’t think much at all. Monday night on this channel, he seemed completely baffled when Martha MacCallum asked him where immigrants detained at the border should be kept, responding at one point that, "It&apos;s not a real question." For example, Democrats tell us America sends too many people to jail. We need to let thousands of drug dealers out of jail during the worst drug epidemic in American history. They even got the White House to sign on to that one. It’s happening. And yet, even as thousands of criminals stream out to freedom — and to voting — presidential candidate Eric Swalwell tells us we need to send a new class of people to prison. Mass incarceration for law-abiding citizens who would refuse to hand in their assault weapons. When asked whether these peole would actually be sent to jail, Swalwell answered, "They would, but I also offer an alternative, which would be to keep them at a hunting club or a shooting range … I think the greatest threat to the Second Amendment is doing nothing. The Second Amendment is not an absolute right." Democrats tell us the Green New Deal is more important than fighting World War II. OK. What’s in it? Nobody knows. They’re making it up as they go along. Impeach Trump? It must be done, they say, but nobody can tell you exactly what the charges are. Democrats can’t even agree on who leads their party. Alexandria Ocasio-Cortez claims she does. Nancy Pelosi scoffs passive-aggressively in response, and tells "60 Minutes" the AOC wing of the Democratic Party is "like, five people." That’s what has replaced the concerns about the individual. You can see it in the personal behavior of the Democratic candidates for president. Last year, Beto O’Rourke, a rich person, gave one-third of 1 percent of his income to charity. Kamala Harris, also a rich person, gave 1.4 percent. Both of these people want to run the country but they can&apos;t give to charity? Why is no one calling them out on this? Except it’s not enough. It&apos;s not a satisfying style of politics. It doesn&apos;t actuallty improve anyone&apos;s life. It&apos;s not working and the Democrats running for president, even while standing on the sidelines, know it&apos;s not working. They will lose to President Trump unless they figure out how to improve the lives of actual people. Otherwise, the internal contradictions of this party will become unbearable. This is the party of hedge fund managers and illegal aliens. What holds it all together? They have no idea. And until they find that out, it&apos;s going to fall all apart. Adapted from Tucker Carlson&apos;s monologue on "Tucker Carlson Tonight" on April 16, 2019.